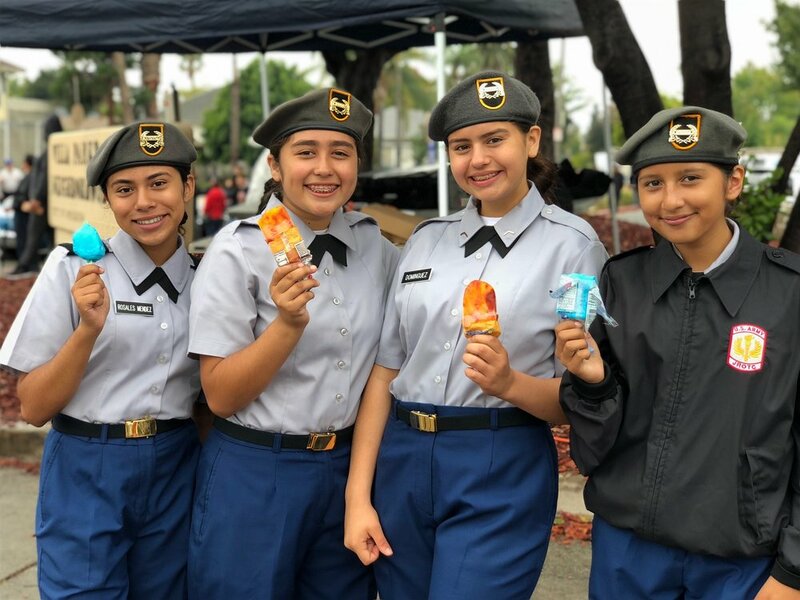 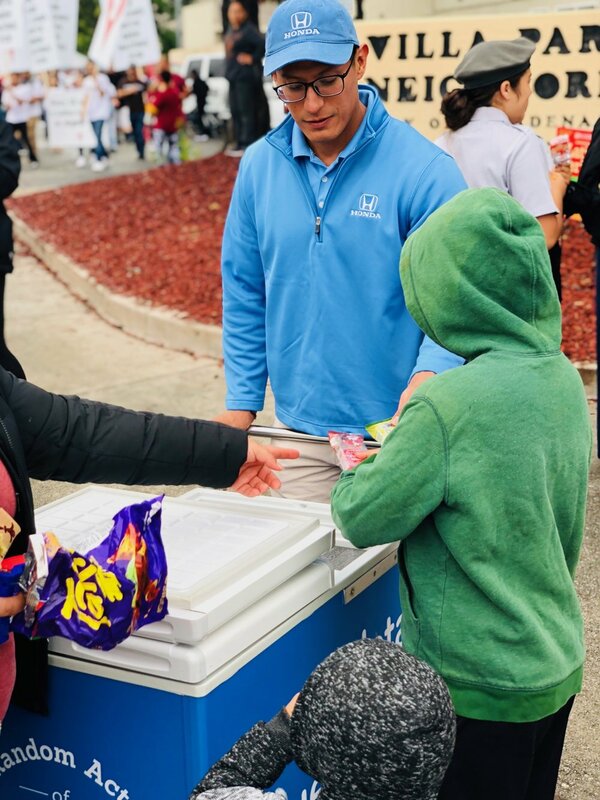 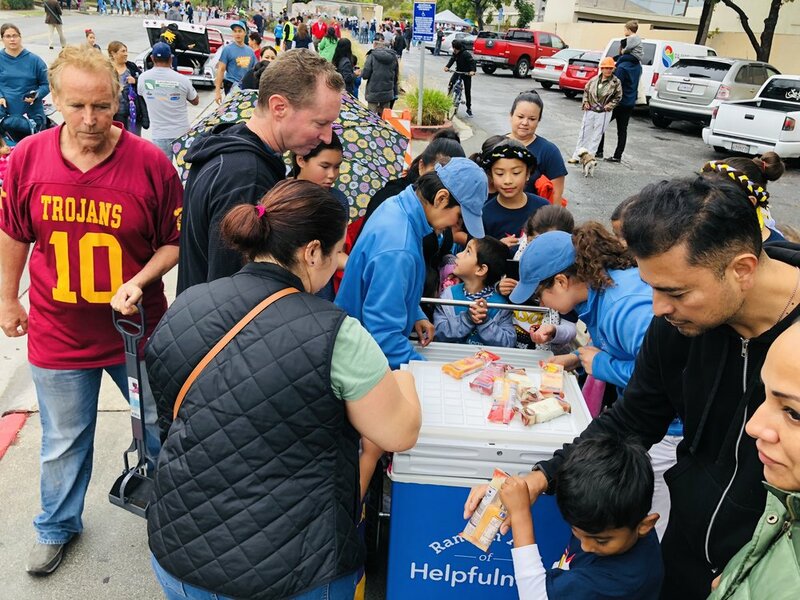 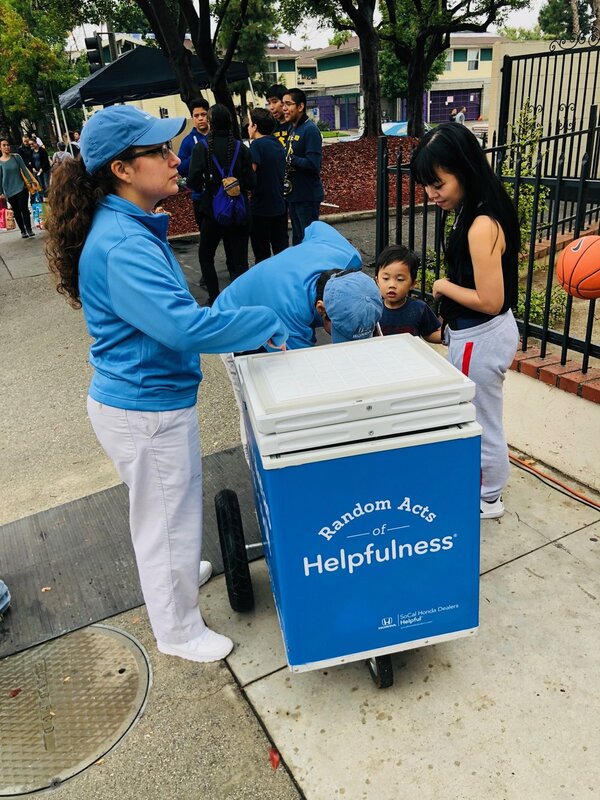 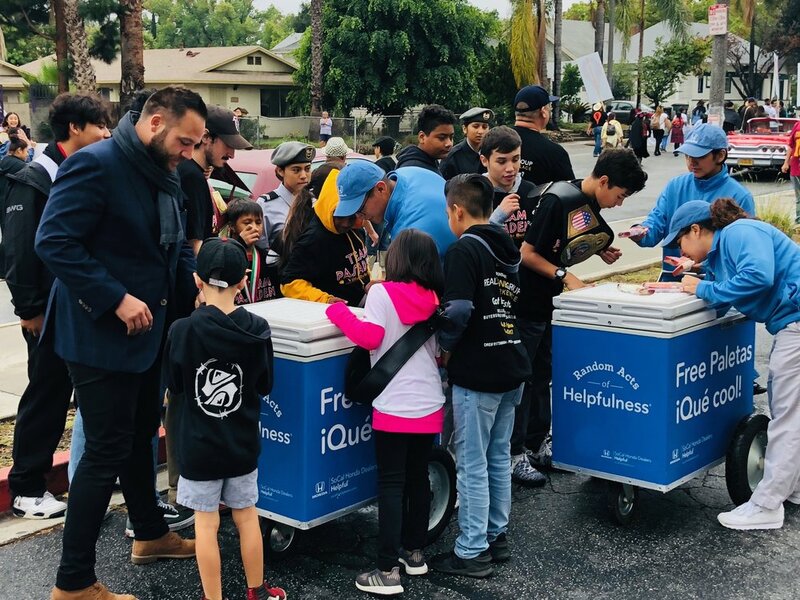 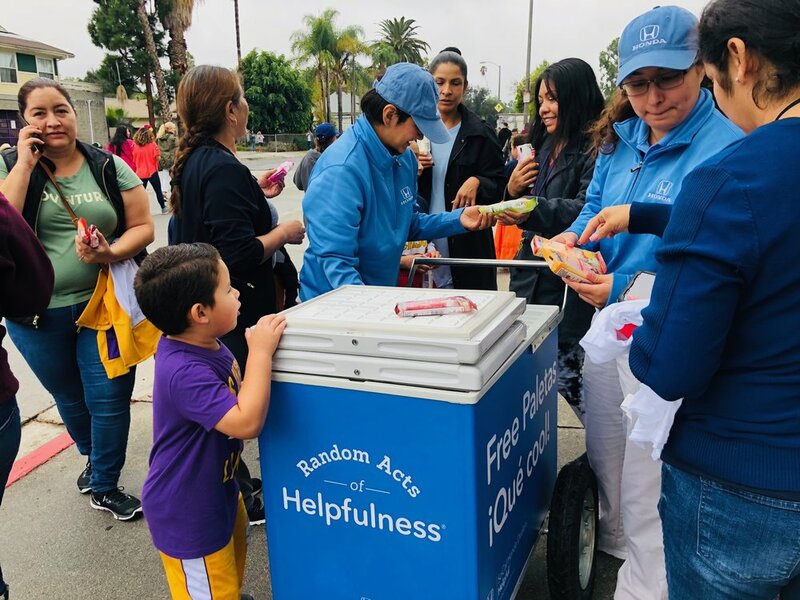 Rain or shine, we are continuing our celebration of Hispanic Heritage Month with So Cal Honda Dealers and the Random Act of Helpfulness crew, at the Latino Heritage Parade and Festival in Pasadena, CA. 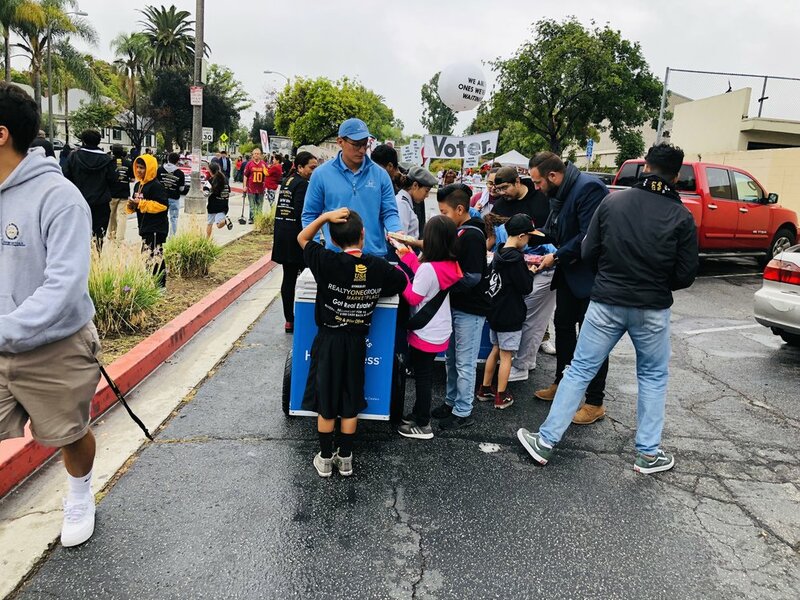 With over 2,000 participants and spectators, this year's theme was focused on honoring Latinos and Latinas in entertainment, television, radio, and film and celebrating their accomplishments both in front, and behind cameras. 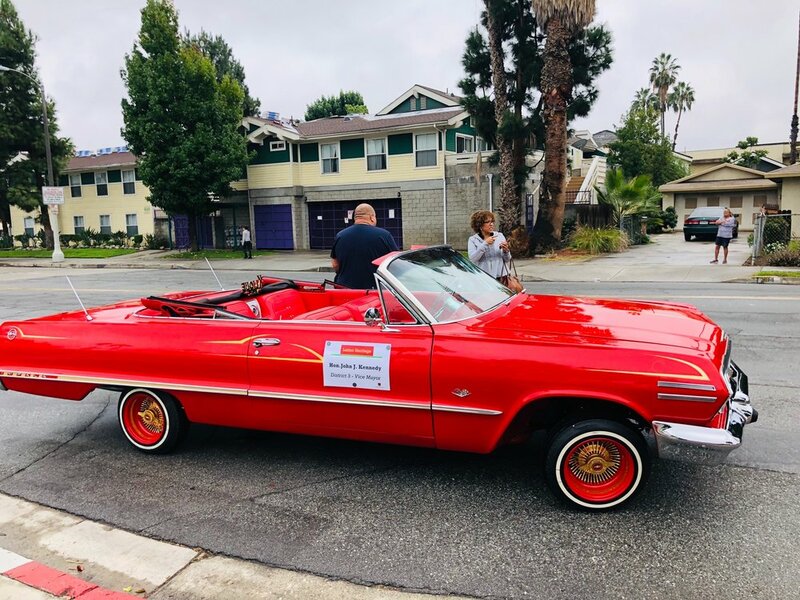 Book us for your next occasion. 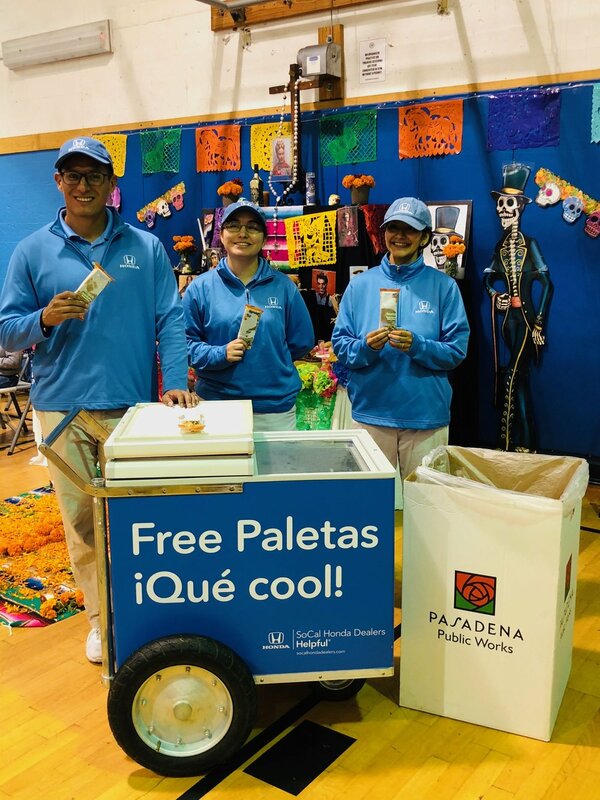 Choose from the largest selection of paletas and ice cream. 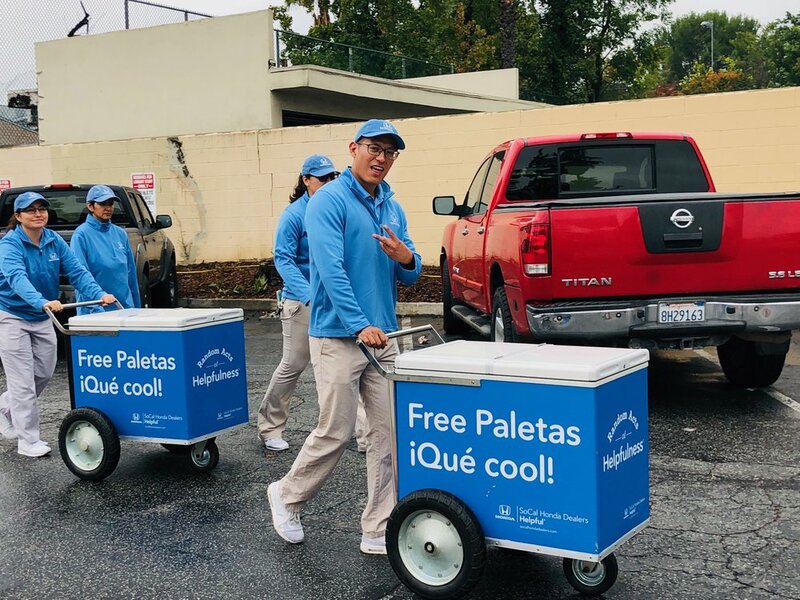 We have carts and trucks ready for any size event.